True, riding outside is everyone's preference, but riding inside is better than not riding at all. To make it more life-like, the Mag+ has five adjustable levels of linear resistance to accommodate your workout. The Mag+ also includes a bar-mounted remote shifter for changing resistance levels while you ride. With the power to vary your effort and an included training DVD (US only) you'll pass the time with ease as you pedal your way to better fitness. 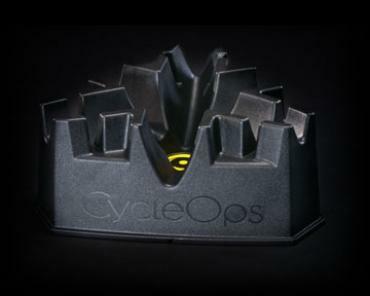 See your fitness-and your bike handling skills-improve when you add CycleOps rollers to your training program. You'll increase your balance, control and ability to ride a straight line, all of which translate to more efficiency, power and technique on the road. 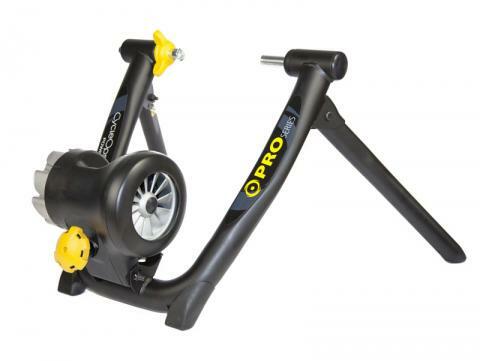 And because you have to pedal 100% of the time to balance your bike, you get an amazing workout, whether you choose to go at an easy spin or a more intense pace. 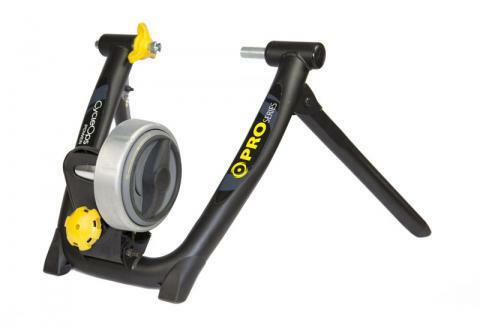 Not only do rollers provide the most awesome stationary workout with incredible real-world ride feel, but they're also simple to set-up, store and transport. For warming up before a race or watching the time fly by during an indoor ride, rollers offer the ultimate in versatility and simplicity. Use 2 blocks for 12 different adjustment levels. Patents issued and pending.